We’re thrilled you’re considering Cub Scouts! Questions? Want to join? Email us at info@pack862.org or visit our Facebook group. 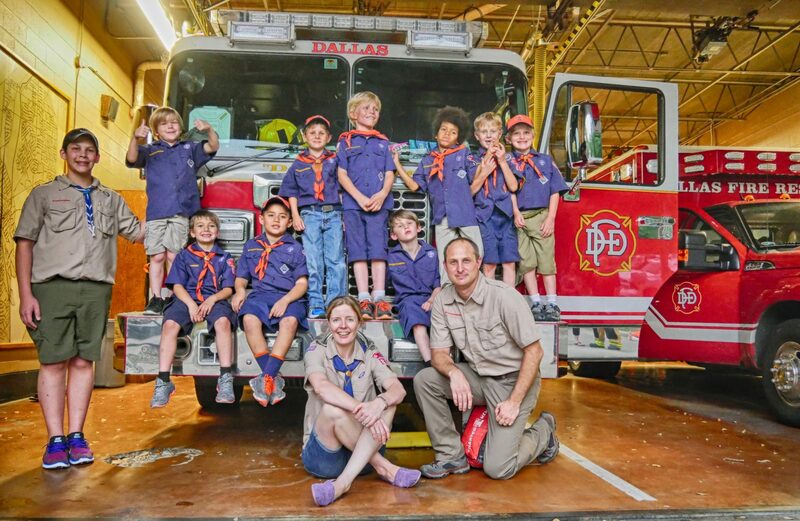 Located in east Dallas, Texas, Pack 862 is the largest Cub Scout pack in Circle Ten Council. Our members come from many public and private schools. In Cub Scouts, the boys and girls have fun while experiencing nature, learning positive values and lifetime skills, and doing a lot of hands-on activities. We have campouts at state parks and Scout camps. We fish, hike, play, learn, and simply spend time together as families. Our Scouts enjoying a song before our rain gutter regatta. The best way to learn more: jump in! Feel free contact us at info@pack862.org or check out our Facebook group. Remember: we were in your shoes just a few years ago! Also check out Boy Scouts of America’s Cub Scout Information for Parents site. Webelos (4th and 5th grade Cub Scouts) earn activity badges worn on their Webelos colors. Questions? Want to join? Email us at info@pack862.org or check out our Facebook group.